A fascinating journey of discovery, this tour takes in numerous ancient sites. Explore ruins of cities, visit monasteries and churches and view the ghost town of Varosha. Perfect for those interested in the culture and history of the beautiful island of Cyprus. 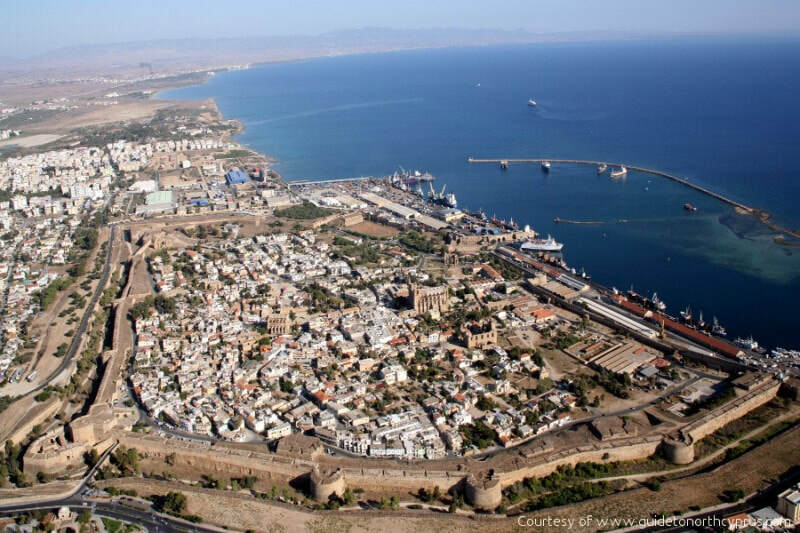 The excursion begins in the city of Famagusta where you have free time to explore the old town. Walk the massive Venetian walls, visit Othello's castle or the Gothic church of Saint Nicolas. There are numerous churches, chapels and historic buildings all over the city to discover or get some lunch in one the restaurants or cafes. You then have the option to stay in Famagusta or to take an optional visit to the Monastery of Saint Barnabas who founded the Cypriot Orthodox Church, and his tomb dating back to 52AD. Next continue to the ancient city kingdom of Salamis. This immense archaeological site has a Greek theatre, marble columns, Roman baths and a number of other interesting antiquities to explore. Entrance fees to these two sites is not included in the tour price and will cost €5 per adult. 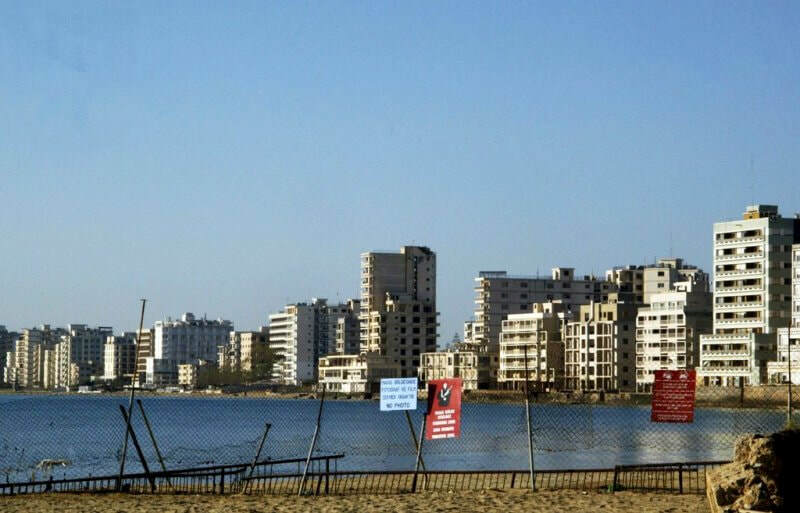 The last stop of the day is the golden sandy beach of Famagusta where you can view firsthand the devastation of Varosha ghost town. Once one of the busiest and most popular holiday resorts in the Mediterranean, now the hotels and buildings are abandoned and left to ruin. Note: The visit to Saint Barnabas and Salamis are optional and at an extra charge. If you do wish to take this option you can choose to spend longer at Famagusta. 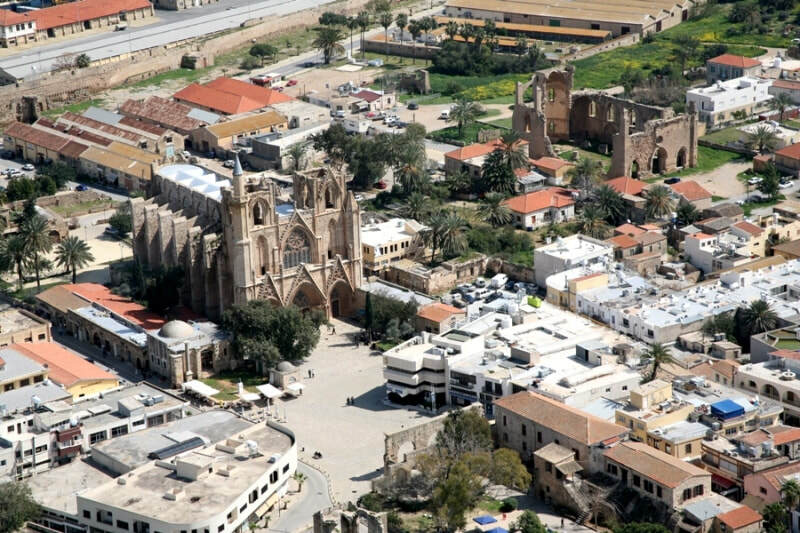 Guests that take the extra option to visit Saint Barnabas and Salamis will have approximately 2 hours free time in Famagusta old Town Centre. 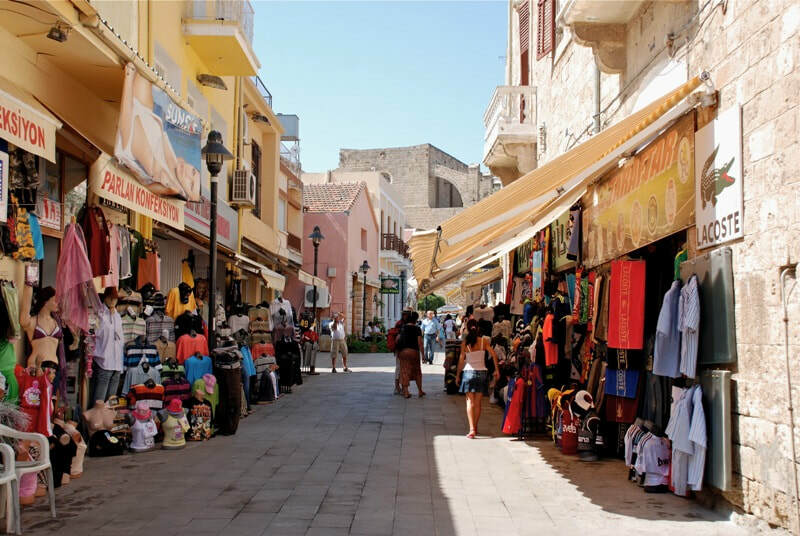 Guests not taking this option, will have approximately 4 hours free time in Famagusta Old Town Centre. ​Full summer schedule coming soon with guiding in English and Russian. What to bring: Passports / EU ID card, Towel and swimwear, sunhat, sunscreen, comfortable shoes. Childrens Prices: Ages 13 and over pay adult price, ages 2-12 pay child price, infants under 2 go free. Please Note: Entrance fees to some antiquity sites are an optional extra and are not included.